Models that you have on this site have been made on request of various Occidental Armies for information & identification, which French Forces. This site is subject to French Secret Defense ( classified). 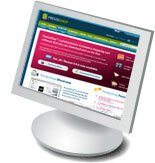 This Web site was created using PrestaShop™ open-source software and installed by Kevin Danezis.